While previous trips to Japan were focused mainly on being deep in the wilderness, this latest visit had us more involved in the ebb and flow of people in cities and villages and immersive art gallery experiences; humans emerging from onsen along the Kumano Kodo, tour buses in the Fuji Five Lakes, and coloured tunnels in Naoshima. 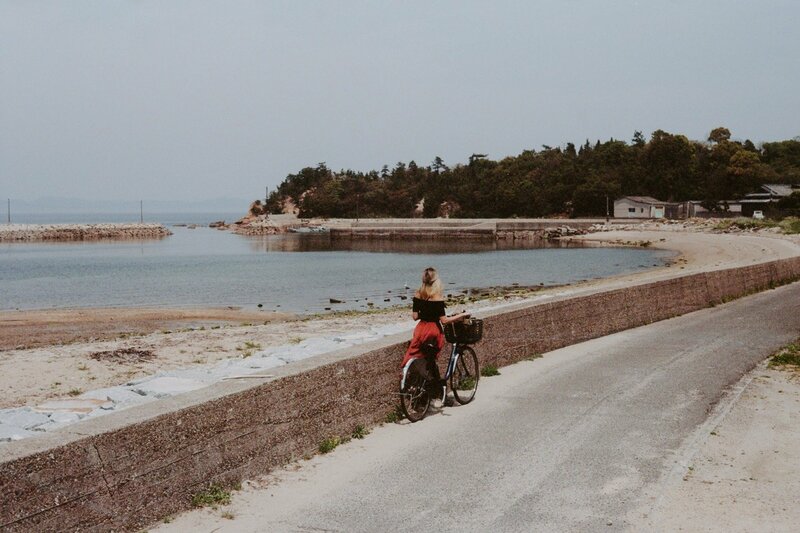 But of course, we still delighted in being the only ones climbing a trail through the Kumano Kodo, or taking a selfie in a roadside mirror in the Fuji Five Lakes, or stopping to enjoy a cat’s company in Naoshima. We played more when documenting our time there: taking a few more chances, waiting a bit longer to steal a glance, and caring less about tidy compositions. And to have this journey coincide with a mini pre-wedding road trip in Hokkaido with some new friends made our memories especially vivid.